During a visit to my hometown of Guadalajara, Jalisco, Mexico, this past September, I made time to meet up with a few homies and photograph their cars. I was in town to attend a tattoo convention at which I, the Editor of Lowrider Arte Magazine, had been asked to be a special guest judge. The cruise day began when I was picked up at the hotel by Tony, the owner of a smooth ’58 Chevy Bel Air. 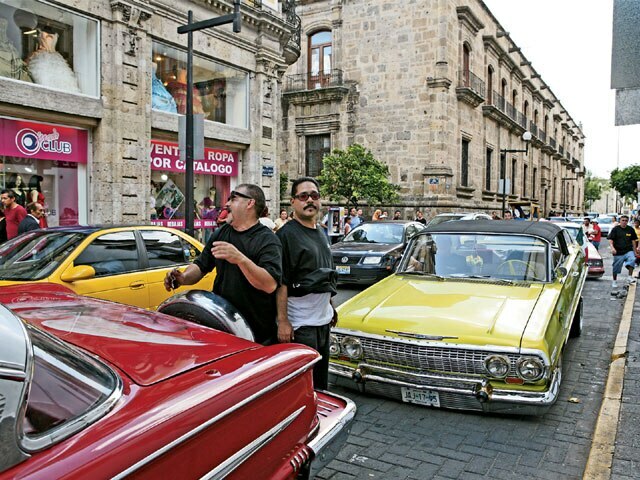 It was decided to drive me around town so that I could shoot his car in a few well-known locations in Guadalajara. To my surprise, Tony had rounded up a few extra lowrider fans who were down to take the day off and cruise around town for a few hours. 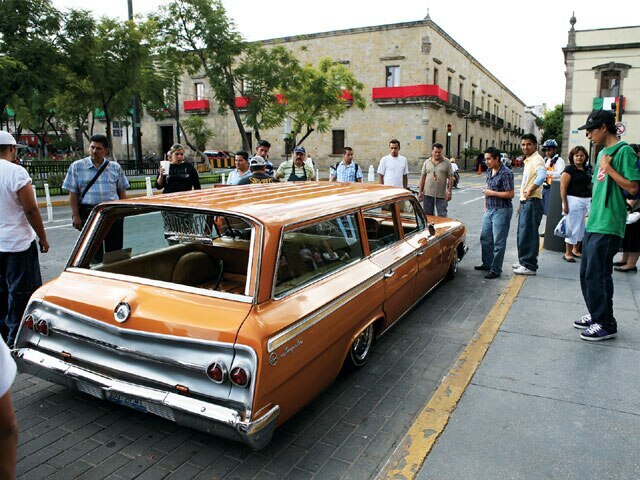 I was stunned by the cars that showed up near one of the major intersections of Guadalajara. 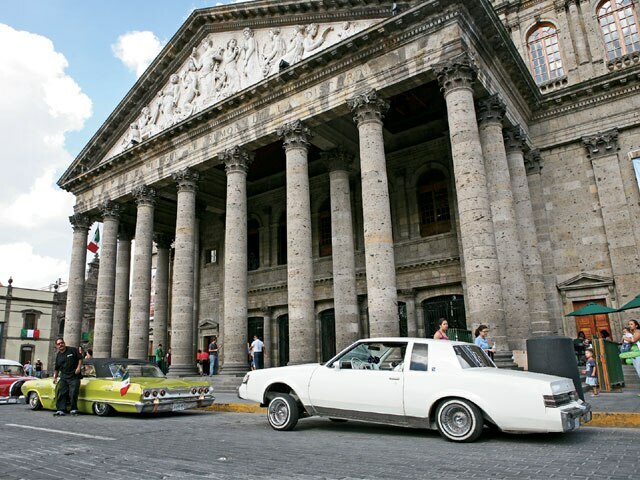 Seeing these cars in Mexico is like seeing Vicente Fernandez at a fast food restaurant. First, I took a ride in Eriberto Contreras’ ‘62 Chevy wagon. Eriberto told me that he had actually taken the car off of a demolition belt just a few seconds before it was about to enter the grinding teeth of a metal shredder. With much difficulty, he was able to find parts for it in various junkyards around Mexico. We cruised for a little bit through the back streets of San Juan De Dios market as we headed into a plaza behind the main church in downtown Guadalajara. 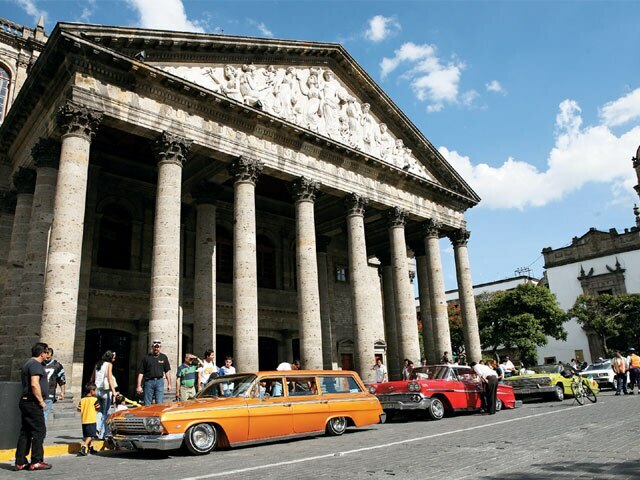 We set up shop in front of the Palacio Dejollado, where we were given permission to park while I snapped a few shots. But as the cars lay there in front of the building, we were asked to move by the local authorities after just a few minutes since we were stopping traffic and causing a lot of commotion. So we headed to the next stop in front of the Presidential building. As we reached the location, I was talking to “Snoopy” (for some reason, nobody knows his real name) about his lime green ’63 Chevy Impala. He told me that he wanted to do a theme with the car so he decided to go with one of his favorite movies, The Mask with Jim Carrey. I can’t forget the other homies who were kicking it with us that day. There was Memo Chaves, who loves to lock up the rear end of his red Buick Regal, and the lil’ homie “El Pollo” with his white Regal who had to bail out early due to some circumstances. 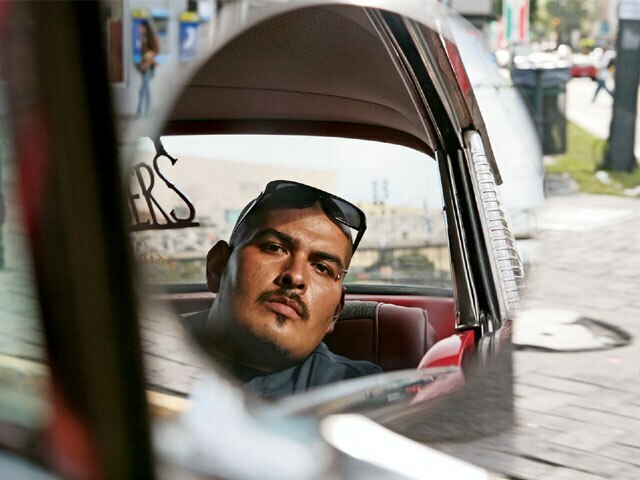 Talking to the guys, I realized how much they were influenced by the lowriders in the States and how grateful they are just to chill and cruise with someone from the magazine. 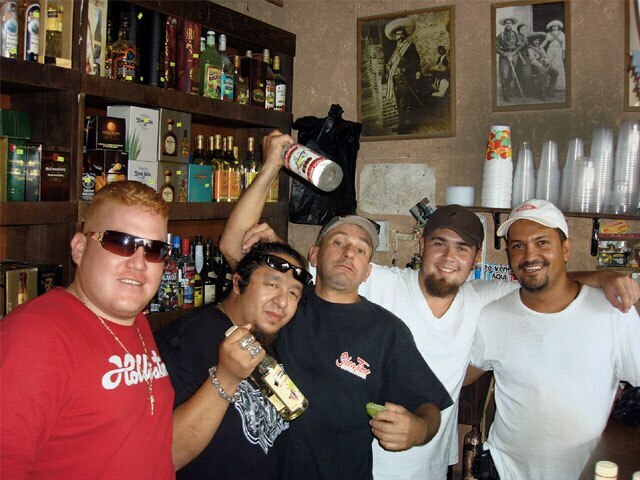 I felt as if I was a part of their family as we shared stories about past issues, the time in Mexico City and the rough night of partying and drinking tequila. It was time to head back to the hotel, but I soon found that the cruise day wasn’t over yet. 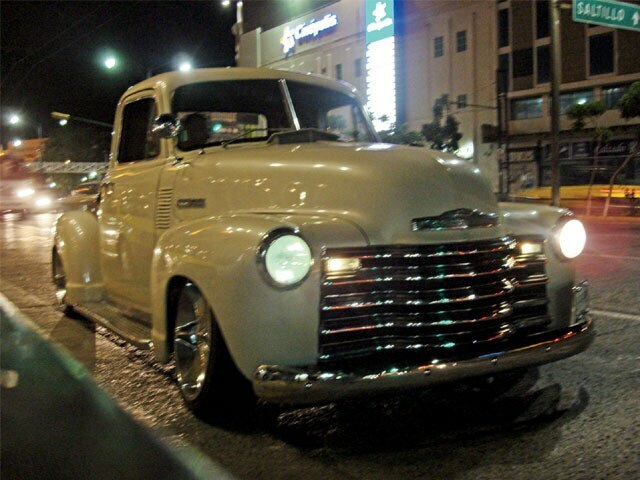 I was picked up by my homies Mark and Javier in a custom Chevy trokita. I asked where we were going to this late and found that we were heading down to El Zapo (short for Zapotlanejo), a one-hour drive south of Guadalajara. 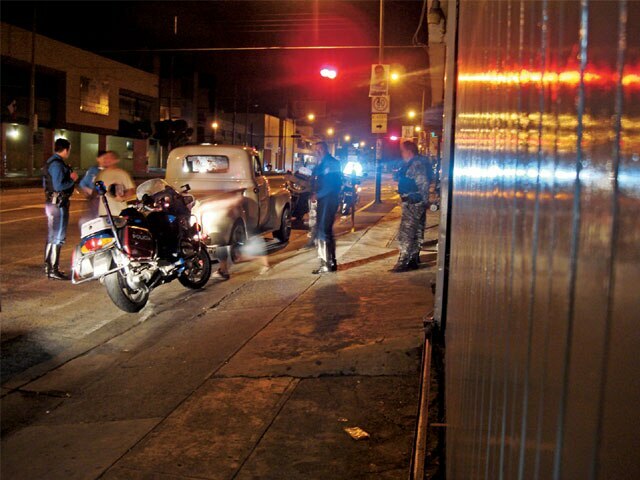 It wasn’t long before we were pulled over by the local police to find out what we were up to. 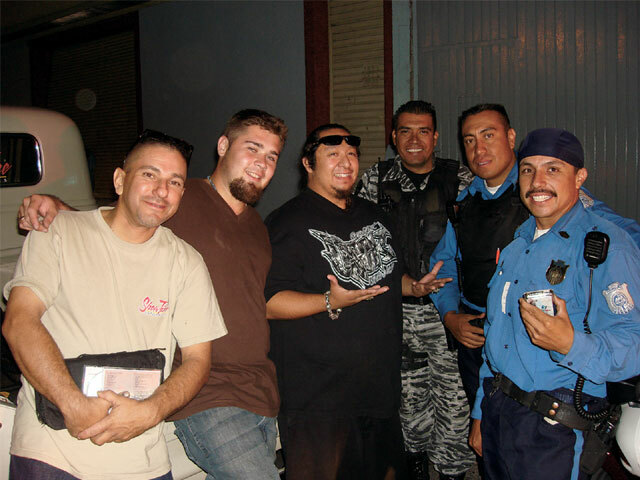 We had to get out of the truck while it was searched and I was asked what I was doing in Guadalajara. After the cops had searched me, the truck, Mark and Javier, one of the officers recognized me as the guy from Lowrider Magazine. From then, the harassment and bad attitude were replaced with joking around, and talking about girls, cars and taking pictures for the magazine. I guess working for Lowrider does pay off. Well, I hope that you enjoy this pictorial of my experiences in Guadalajara. And if you ever head south the border, try to team up with the car clubs down there and remember that we have lowrider family members all over the world. 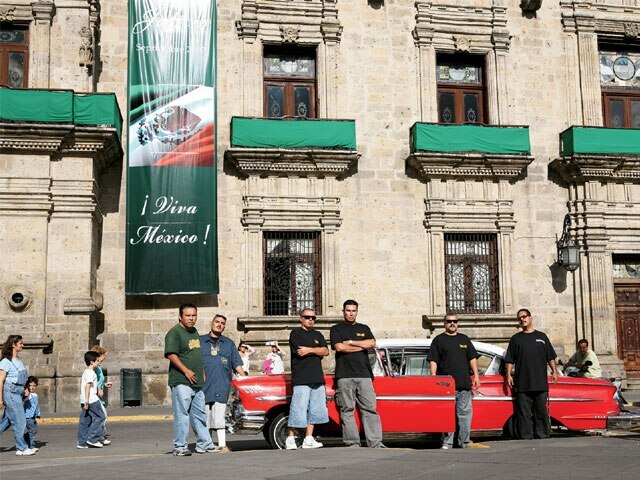 I want to thank the guys in South Siders Car Club de Guadalajara for making me feel like family, and a special thanks to Mark and Javier for not letting me get arrested in Mexico. The Word On JuanitoThe decision to publish the “Juanito’s Whereabouts” letter in the November ’06 issue (by those then making such Editorial decisions) has resulted in some unfortunate fallout, necessitating a clarification for our readers and an apology to Juanito, who has emerged to tell us in no uncertain terms that the publishing of this letter has hurt his professional reputation. Juanito has also informed us that the dispute mentioned by the letter’s writer is nothing more than a misunderstanding over a personal business transaction. For more information on Juanito’s whereabouts, so that you can see for yourself the quality of work done by Juanito, check out the “Shop Talk” profile of Juanito’s Upholstery in the November ’07 issue of LRM.